Japan post time again! I've been so busy this week it's crazy, so many assignments due and I have so much photography work to edit! 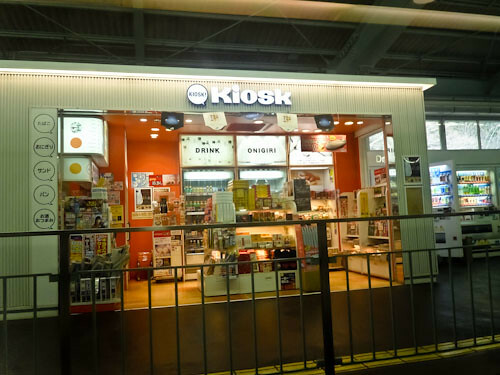 So anyway, I decided to take a break from editing for a few hours so thought I'd just write up another Japan blog post. 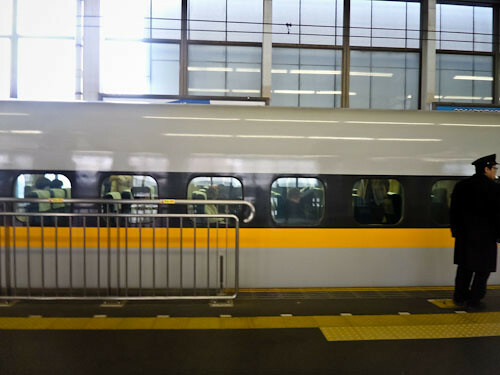 This post is going to be about my journey from Hiroshima to Shizuoka by shinkansen! 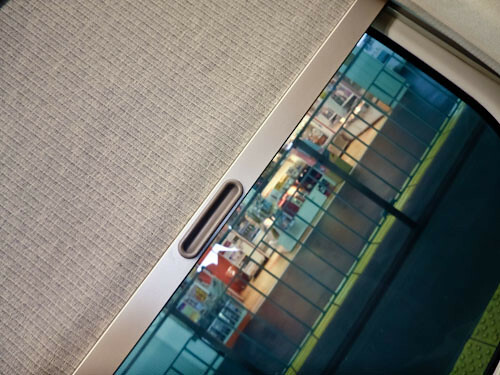 (Bullet train). I had to wake up early that morning to shower and get ready, I bought my ticket to Shizuoka by Shinkansen while I was back in Osaka (it was like $200! So expensive O_O). 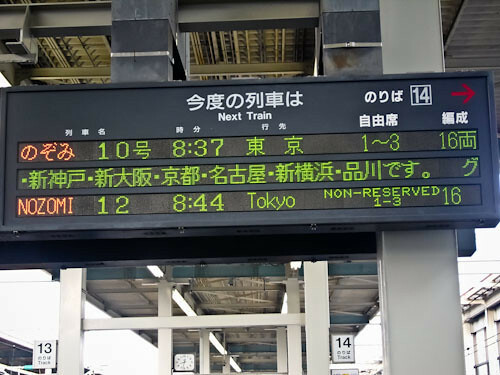 If you're traveling to Japan with a passport other than a Japanese passport, you're able to buy a JR Pass which lets you ride on the shinkansen/JR lines (except the Nozomi shinkansen - the fastest one) as much as you want within the time limit you have paid for. 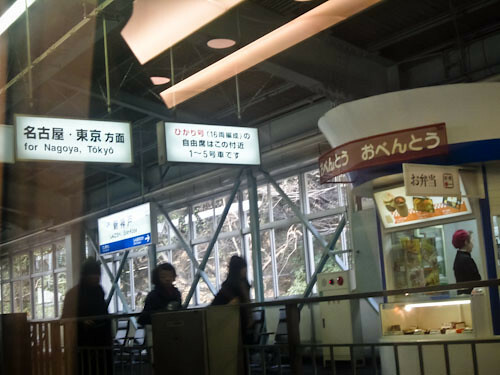 I didn't get it because it wasn't worth it for me, as I was going to only catch the Shinkansen that one time to Shizuoka, and then to Tokyo about 10 days later. It's probably around $300 for the JR pass for 1 week, so that's why I didn't buy it. 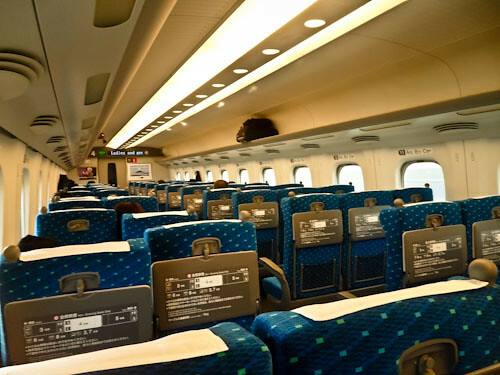 If you are traveling to Japan for only about 1-2 weeks, I would recommend you get a JR pass if you're planning on traveling all around the country. If you're planning to stay in one place for lets say over a week then don't get it since it won't be worth it. Anyway, woke up early to shower and get ready. 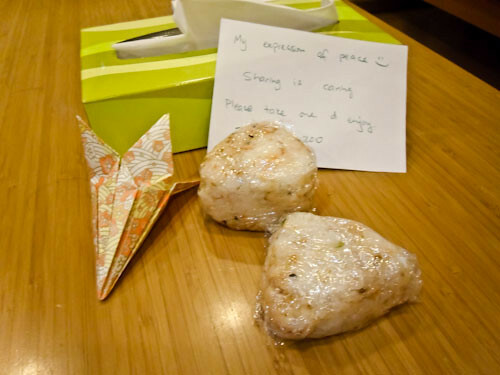 Before we left, we left some onigiri at the hostel since we made way too much the night before haha. We didn't expect anyone to take any, but suprisingly some people did. A Korean guy just arrived at the hostel that time I think, and so he took one while I was making my coffee and left us a really nice note. After that, I caught the tram down to Hiroshima station with Annie (it's only a 10 minute walk from our hostel, but I didn't want to carry my luggage) and then found out platform. I kind of got lost in the train station so had to ask around for a bit of help .__. Lucky I had some Japanese knowledge since I was able to get help straight away. 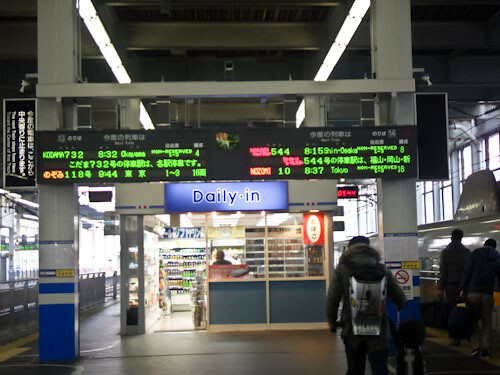 We were at the station about 20 minutes early so we just waited around for our shinkansen. 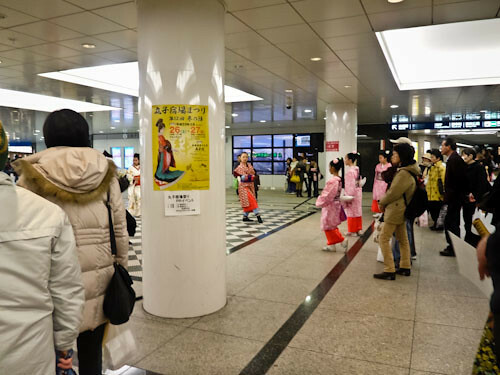 Information about our shinkansen (Nozomi). 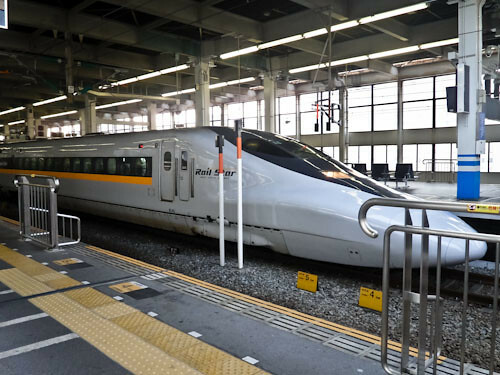 It's the fasstest shinkansen they have in Japan, only stops at the main stations. 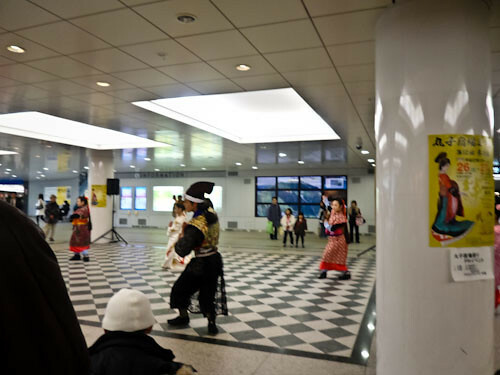 We had to catch this train first to Nagoya and transfer there since Shizuoka isnt' a main station. 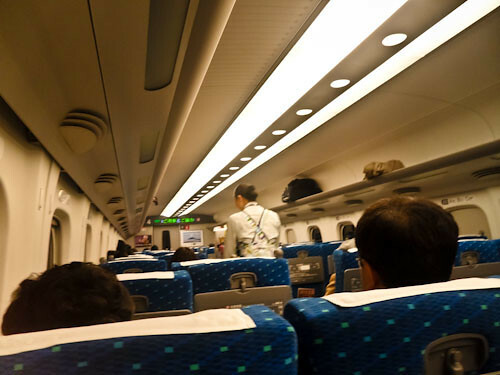 Inside the Nozomi Shinkansen. It looks like an airplane inside! So cool right? 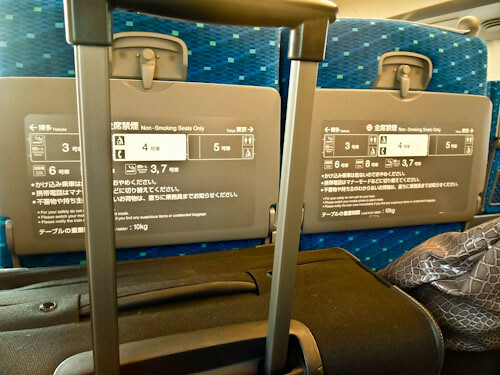 I had some troubles boarding the shinkansen because I had massive suitcases. I kept knocking people with it when I went on the shinkansen so had to say sorry so many times to the other passengers .__. 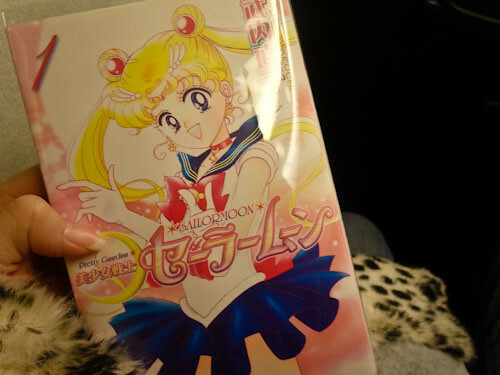 The ride from Hiroshima to Nagoya took about 2 hours so I bought some manga to read. I stopped after since I got a bit sleepy, fell asleep for a bit and took some photos. 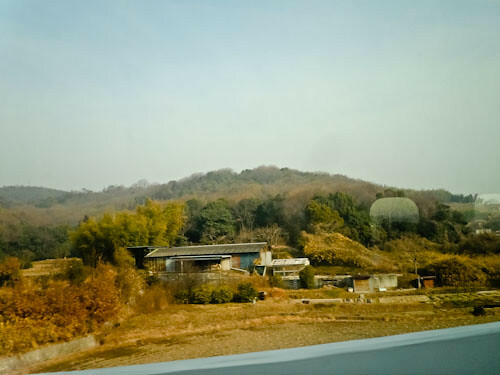 A little village we passed by. Not sure what this station is either.. 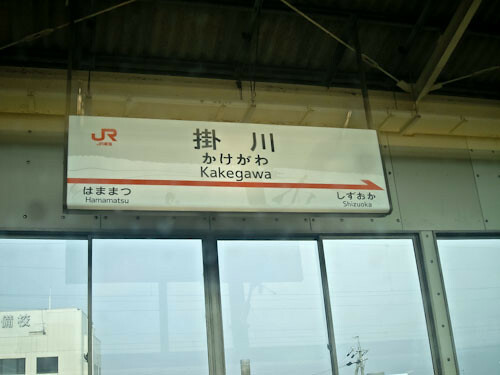 Anyway, we finally got to Nagoya so we had to transfer. We were lucky that we didn't have to change platforms. The next train came within 5 minutes, so we boarded the train. This time we were taking the Kodama, the slowest shinkansen. (Stops at all stations). 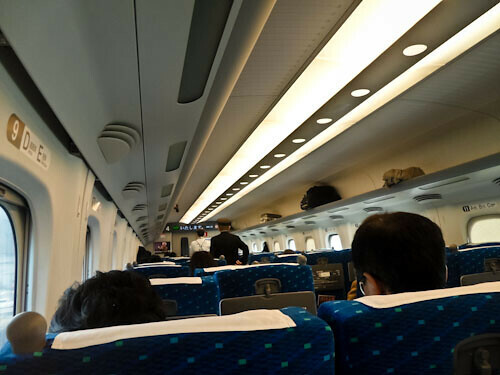 The inside of the train was a bit smaller and wasn't as new as the Nozomi we were in, however it looked pretty much the same inside. One stop away from our destination! We arrived at Shizuoka safely and on time so we had to wait for the other study tour participants to arrive. They had only arrived in Japan earlier that day so they were running a little bit late because of some troubles. 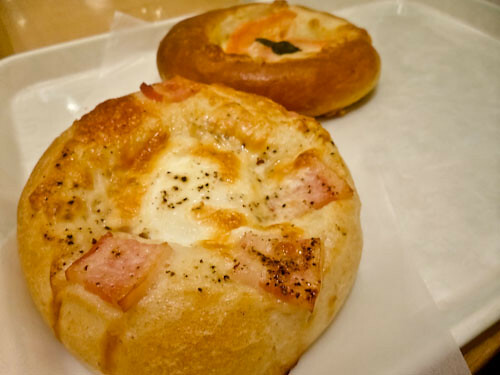 But anyway, I met up with Chiho again and we went to a bakery to eat some lunch. I also got to meet her parents for the first time, they were really nice! I think this was cheese and bacon? So nice, I love anything with cheese in it haha. Also a funny thing I thought I'd add. 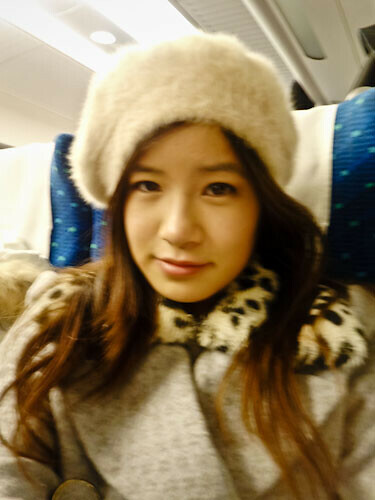 When Chiho was in Australia she told me that Shizuoka is really small and there wasn't much to do there. So before arriving to Shizuoka, I was kind of expecting a really old train station with nothing there like the ones we have where I live. I was so wrong, the train station is HUGE! There were SO many shops around so if you ever got bored while waiting for someone, there are so many shops you can go to! After that Chiho's parents drove us home. 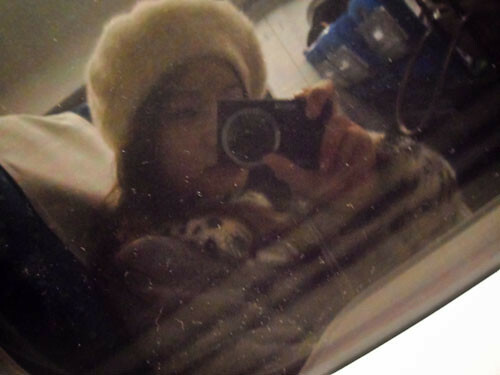 I was so exhausted from the shinkansen ride that I fell asleep in the car. Chiho's house is quite far from Shizuoka, it was in the next town in Makinohara which is about an hour away. I settled in and unpacked my stuff. It was so nice to actually stay with a family, for the past month I was traveling just staying in hostels which was fun, but it was nice to be with a family after so long. 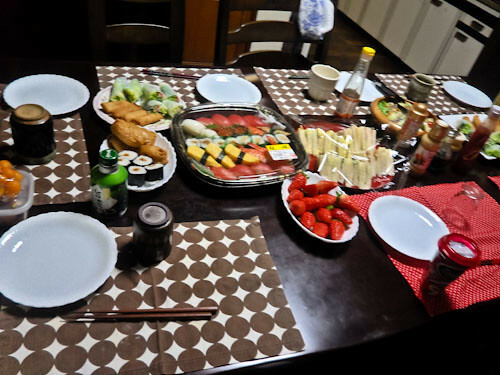 I was helping Chiho study when her parents asked if we wanted to go to her grandparent's place nearby to visit. 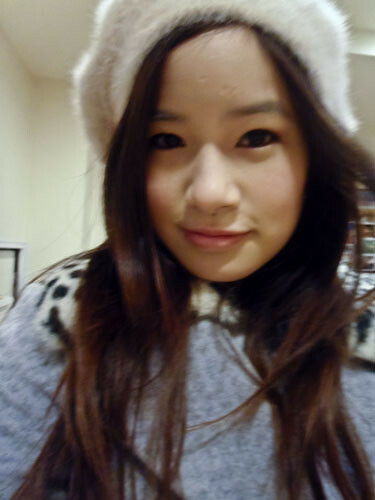 I went with Chiho to her grandparents place where I stayed for a bit. I really should've bought them a present! They were SO nice and they gave me 10,000 yen. They told me "go use this money and have fun in Japan!" they were so nice. 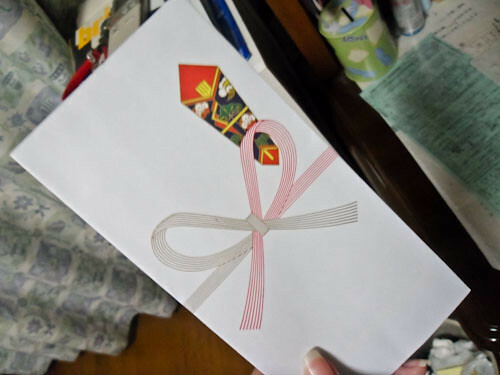 I'm planning to send them something from Australia but it's a bit hard right now with Japan still recovering from the earthquake disaster. 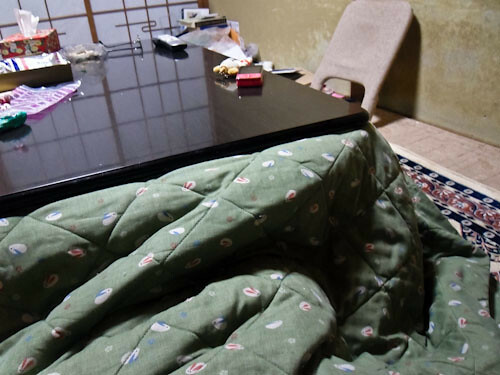 Kotatsu at her grandparent's place! This thing is sooo warm! 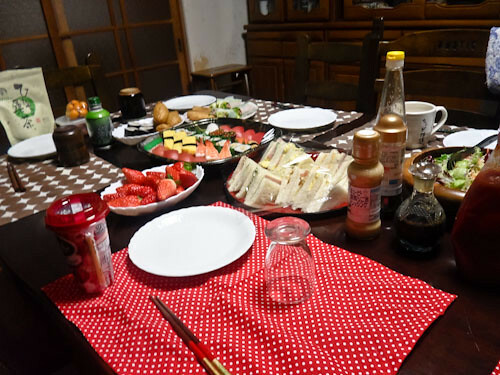 We went back to Chiho's house after and her mum had prepared dinner for us. 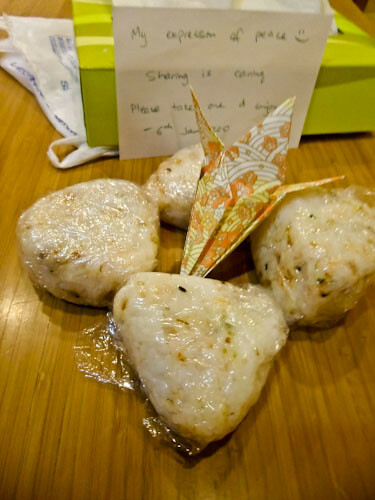 Japanese people put so much effort into presentation with their food! I didn't really do much since I had to sleep early that night to wake up at 5am the next day for school. But it was great to spend time with a Japanese family! I missed Chiho so much! I did hang out with her once in Tokyo in my first week in Japan, but it was about a month later did I get to see her again. Next few Japan posts will be about my highschool experience! 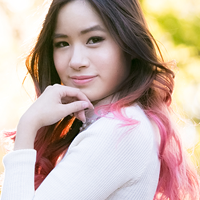 Thanks for following my blog and youtube! ^^ Japan is a really beautiful country, hope you can visit someday! Sorry for the late reply! But hope you can visit Japan soon! And thanks for your comment! It's understandable. You have uni now right? So it's hard to have the time. But please don't stop writing. Oh. I loved the video of the deer eating your map. x) So funny! If you have more videos 'bout japan please upload! Great. :) I love knowing about school life there. You were so lucky to benefit from that program. Hi my name is Tammy I live in Wisconsin,USA,I was looking for new fall fashion and I just saw Liz Lisa collection online for the first time ,and I absolutly fell in love with it I have two little girls Emma and Ella ,Ella my six yr old says mommy awh that would be so preatty on you the clothing is so kawaii,we saw you on you tube ,soo cute and good info,but I need to know how and wear to buy outfits for myself and accesories,ect,,,for my girls,I also love your blog!!!!!!!!!!!!!!!!!!!!!!!!!! Hi there! Thanks so much for your comment! I'm actually going to do a blog post very soon (should be up by tomorrow or the day after) about where to buy Liz Lisa clothing. I'll make it informative for you guys, thanks again!